Notes: CMP. 103 Pro Coy TC. 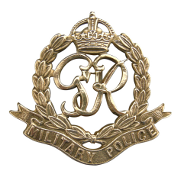 13/6/40 enlisted in the Royal Artillery (field), 26/1/41 transferred to CMP. 25/1/41 Died. He was born and resided in London SW. War Diary 103 Pro Coy TC, WO 170/7002. 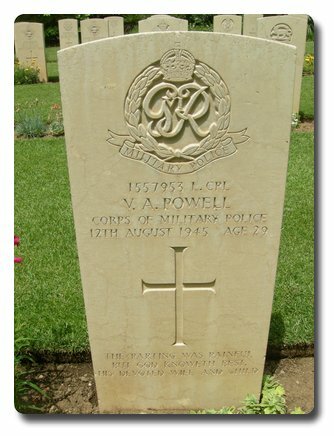 Naples, 12/8/45, 1557953 L/Cpl Powell V A died fro self inflicted gun shot wounds. Inscription on gravestone: The parting was painful but god knoweth best, his devoted wife and child.